What are oral cultures and why are they so important? Orality is simply a term is used to describe a method of communication. An oral culture is one in which the majority of people communicate primarily through spoken as opposed to written word. Often, this includes cultures that have no written language or very high illiteracy rates. As a result, they communicate with one another in stories, songs, dramas, and proverbs. Most important information, such as history, values, etc. is pasted down in one of these forms. They have either have no Scripture translated in their language, or if they do, very few can read it. Today there are 4.3 billion oral learners in the world. That’s more than 60% of the people on the planet that have virtually no access to the good news of God’s love for them – and very few people are looking to bring them that truth. There is literally a famine of God’s Word on the planet while we sit feasting on vast storehouses of Biblical truth. This is the central need in missions today. We need to do a much better job at inspiring our churches to engage personally in the Great Commission. We have a great opportunity to capture this upcoming generation’s imagination for embarking on a world -changing adventure with Jesus. An International Missions Adventure should be on every Believer’s Bucket List! Training: Studying and discussing this from a Western mindset exclusively will not help us. We need to understand of how oral cultures think and process information. In order to do this we need to partner with organizations like International Orality Network, StoryRunners, IMB and others who are already doing great work with oral cultures. Funding: We must do more than just inspire and instruct people to reach the unreached. We have to put our money where our mission is. For many, this will require asking if we truly investing the necessary amounts of financial and human resources necessary to reach oral cultures? This will most likely result in reorganizing our strategy to reflect the urgency of this need. 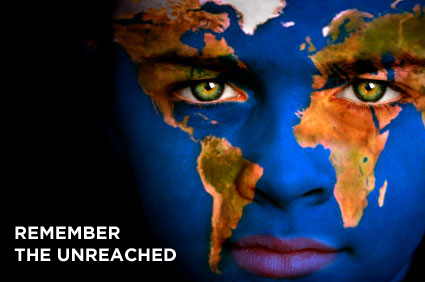 Reaching the unreached is tough – they are unreached for a reason. There will be lots of setbacks, failures, and heartbreaks. Missions is messy, but it is the heart of our Father that none would perish. We have to count the cost and persist even when the time comes to pay the ultimate price. The task won’t be finished without a desperate commitment to prayer. We should not start anything that we are not willing to saturate in prayer. ← What You Can Learn About Yourself From An ACL Tear?